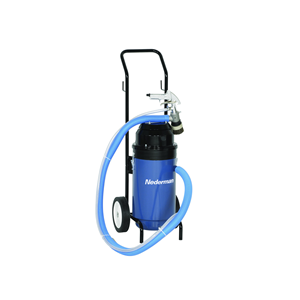 Envirox offers Nederman electrical sandblasters that offer superior productivity, suction power and separation efficiency – where access to compressed air is limited. These electrical sandblasters are a highly-effective way of removing rust, old paint, welding scale, etc., and replace mechanical or chemical cleaning. Our electrical sandblasters offer a completely dust-free process where the surrounding area is not exposed to flying blasting media. These sandblasters are mobile and compact, and are ideal for use indoors, outdoors and confined spaces. 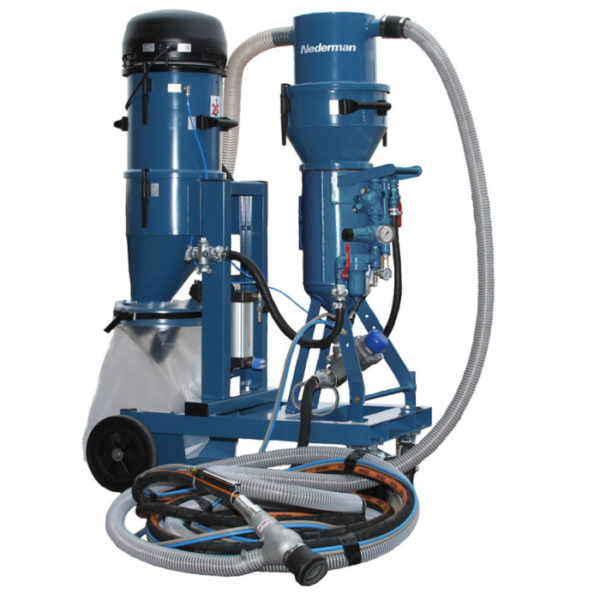 Nederman sandblasters provide clean and safe sandblasting and media recycling. The blasting agent is automatically drawn back into the unit where it is cleaned and recycled. 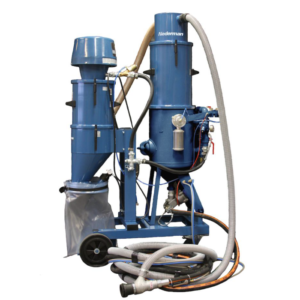 This means our sandblasters require less refilling, reducing interruptions to your operation, and that workstations don’t have to be cleaned after blasting. These units are trolley-mounted with a grit separator, silo with an internal sieve, filling valve, vacuum and compressed air filters. A pneumatic valve in the silo empties the dust into a plastic bag.